1. When will the man hand in the report? A. On Monday. B. On Tuesday. C. On Friday. 2. Why is the man against buying the house? A. It has no garden. B. It’s far from his office. C. It has a broken roof. 3. How much do the two tickets cost? A. £ 9. B. £ 10. C. £ 11. 4. What does the man have to do? A. Drink in a bar. B. Take a bottle in. C. Leave the bottle behind. A. A program. B. A desert. C. A photograph. 6. How will the woman get to the party? A. By taking a bus. B. By driving her car. C. By getting a ride. 7. What will the man do at noon? A. Meet the woman. B. Have this car repaired. C. Talk with Ms. Wilson. 8. What’s the matter with the woman’s brother? A. He injured his back. B. He hit his head. C. He is not breathing. 9. What does the man advise the woman to do? A. Wake up her brother. C. Leave her brother where he is. 10. Why is the woman upset? A. She didn’t enjoy the meal. B. The man ruined the evening. C. She failed an exam. 11. What will the man do next? A. Drive the woman home. B. Finish the meal himself. C. Leave the woman alone. 12. Where does the conversation take place? A. In a restaurant. B. In a car. C. In the man’s house. 13. What do we know about the woman’s first job? B. She got proper training. C. She was not confident in the job. 14. What does the woman think of her boss? A. Knowledgeable. B. Impolite. C. Hardworking. 15. What did the woman do in the shop? A. She baked bread. B. She sold sandwiches. C. She used calculators. 16. What does the woman say about the full - time shop assistants? C. They were not good at calculating. 17. What are the old desks used for? A. Keeping magazines. B. Storing old books. C. Placing computers. 18. What can the listeners do at the study desks? A. Use the printers. B. Make telephone calls. C. Get access to the Internet. 19. How long can the listeners keep library books? A. Two months. B. Six weeks. C. Thirteen days. 20. How do the listeners renew a book now? A. Over the phone. B. In person. C. By e-mail. Purpose: To find out what it is like to work at a zoo. Join us for a great programme for middle and high school students to explore animal — re¬lated careers at Denver Zoo. From keepers to trainers, vets and exhibits designers, different kinds of possible zoo and animal careers will be explored during our Career Discovery Day this fall. The programme starts with an amazing gathering in which our animal stars will appear and perform. Participants will attend lectures given by professors of the zoo and take part in special tours filled with activities find information. And you, 11 have time to ask questions about what it takes to work on the wild side. Registration closes at 10 a. m., September 16th. Lectures and tours are limited to regis¬tered participants and their one chaperone only. Members: $ 70 per person. Nonmembers: $ 75 per person. The cost includes zoo admission for one participant and one required adult chaperone. Participants will not be admitted without an adult chaperone and chaperones must stay with participants during the period of the event. If you have any questions, please call at 720—337—1491 or e-mail at teenprogrammes denverzoo. org. 21. Who would most probably be interested in Career Discovery Day? A. Kids who love animals. B. Adults who are looking for a job. C. Children who like animal performances. D. Teenagers who want to learn about jobs at a zoo. 22. How much should two members and their mothers pay to register for the programme? A. $ 70. B. $140. C. $ 150. D. $ 290. 23. The text is meant to ________. Tom Costello was once afraid of homeless Americans. “I was so afraid that if I saw a home¬less person walking down the street, I’d cross the street,” he said. That changed seven years ago after his wife, Nancy, a volunteer at a homeless shelter, persuaded him to help with a holiday dinner for shelter residents. Tom remembered going to a store and buying socks for the residents. He knew many of them were in need of clothing. At the shelter, Tom said, he dropped a pair of socks into a bag for a woman. She asked him if she could have socks for a friend who wasn’t with her that day. He gave her another pair. “She started to cry and told me that nobody had ever given her socks before,” Tom said, “Then she reached out and gave me a hug.” That experience at the shelter helped Tom end his fear of the homeless. It also led him to set up a group called “The Joy of Sox.”, which borrows from a name of a popular book. The group collects socks from donors and gives them mostly to shelters in the area where Tom and Nancy live. It has been expanding its reach and provides socks to homeless shelters in 21 states and other three countries now. Why socks? Tom explains that some Americans give food, coats and other clothing to shel¬ters. But donating socks is not something most people think about. And, he said, socks are very helpful at keeping people warm, especially in cold weather. A man named Kiwi，who has lived in homeless shelters, said most of the time he could find enough food through shelters and soup kitchens. But socks were much more difficult to get, he noted. 24. What removed Tom’ s fright of the homeless? A. A woman’s need for socks. B. The encouragement from Nancy. C. The hug from a homeless person. D. The first experience of helping the homeless. 25. What did Tom do when the woman asked for another pair of socks? A. He felt afraid. B. He walked away. 26. What can we know about “The Joy of Sox”? A. It got the name from a book. B. It was founded by Tom and Nancy. C. It helps the homeless of three countries. D. It buys different socks for the homeless. 27. Why does Tom provide socks for the homeless? A. The homeless are lack of socks. B. Tom’ s wife persuaded him to do so. C. Socks are popular among the donators. D. The homeless can’t buy socks in shelters. “Fast fashion” means clothes that are inexpensive but look like the latest designs. One reason for the success of fast fashion is social networking. A report by the investment research firm Bernstein found that millennials — people born in the 1980s and 90s — wanted to wear a variety of clothes in the photos they posted on Facebook, Instagram and Twitter. As a result, many businesses that offer trend, low - cost clothes are growing. But the situation is changing now. Maxine Bedat, a woman who is in her early 30s，looks in her closet full of clothes, but she has nothing to wear. She says she hates always shopping for what is in style . Instead，she says, she wants to buy fewer clothes that she can wear over and over. Other people want the same thing, she says. So Ms. Bedat and a business partner, Soraya Darabi, started a “slow fashion” clothing company calltd Zady. “Slow fashion” means clothes that last a long time. They are often classic colors and shapes, and are made from natural materials that are biodegradable (可生物降解的) over time. The terms “fast fashion” and “slow fashion” are related to “fast food” and “slow food: fast food is still popular in the US, but many restaurants increasingly offer higher - quality, more expensive and relaxed meals. Like slow food，slow fashion also aims to use sources that are good for the environment and 、 workers. Maxine Bedat says people in her generation want to know where their clothes come from and who is making them. To answer millennials’demand for information about the prod¬ucts they buy, Ms. Bedat’s company, Zady, includes details about the history of the brands. It also describes the process in which the clothes are made. Ms Bedat says Zady aims to tell shoppers where their clothes come from, where they go, and how they impact the world. 28. What can we know about millennials from Paragraph 1? A. They tend to buy clothes with lower price. B. They all like to share photos on the Internet. D. They show their interests in wearing different clothes. 29. What makes Mexine Bedat establish Zady? A. She has nothing to wear. B. She likes the classic clothes. C. She longs for “slow fashion” clothes. D. She prefers clothes with natural materials. 30. Like “slow food”, “slow fashion” should ________. 31. What does the text mainly talk about? A. How “fast fashion” becomes popular. B. “Slow fashion” is becoming popular now. C. Many businesses are selling trendy and cheap clothes. D. The differences between “fast fashion” and “slow fashion”. A new “smart bin” could spell the end of environment - conscious families spending hours sorting tins, cartons, bottles, and cardboard for recycling. The invention, which automatically sorts rubbish into recycling categories, is being trialed in Poland and is set to go on sale in the UK within a few years. The bin, designed by start - up company Bin. E, recognizes different types of waste via a system positioned inside the bin which uses sensors, image recognition and artificial intelli¬gence. Once waste is placed inside, the camera and sensors identify its type and place it in one of the smaller bins. Then it compresses (压缩) the waste so it occupies less space. 32. What can we know about the smart bin? A. It has entered the UK market. B. It breaks up the garbage quickly. C. It can classify different kinds of rubbish. D. It expands its space with the increase of garbage. 33. What does the underlined sentence in the last paragraph mean? A. The cost of producing the bins has raised. B. The smart bins have been the best sellers. C. The stores have sold out the new bins in a very short time. D. The sales volume of the recycling bins has increased suddenly. 34. What can we infer from Matt Thomas, words? A. People can get the smart bins at a low price. B. People always spend much time in rubbish collections. C. More and more hi - tech bins are designed for customers. D. People pay more attention to environmental protection than before. 35. Which of the following tan be the best title for the text? A new report says plastics are responsible for $13 billion in damage to the oceans and the undersea environment. The findings were announced recently at a United Nations conference. _36_. Plastic thrown away carelessly makes its way into rivers and other waterways. _37_ After a while, it collects in the sea. And plastic never goes away. Plastic is not biodegradable—de¬stroyed by bacteria or natural processes. Instead, it just breaks up into smaller pieces over time. The oceans contain a lot of chemicals and other pollutants(污染物). _38_. That means harmful material may get into our food supply. _39_. Human beings cause pollution and they can take steps to stop it. They can use fewer single use product containers and throw plastics away correctly. Plastic recycling pro¬grams also works—where old bottles and other plastics are collected, broken down and used to make new products. We could reuse bottles in our households many times if we wish to, rather than end it after the first use. We could, when we get rid of that plastic, recycle it and reuse it, which replaces the need for raw materials. The report also calls on companies to improve methods for using plastics. _40_. And it calls for information about the way plastic is thrown out or removed from use. By putting a new value on plastic, industry has a special reason to clean up the environment. But all of the com¬panies must join to deal with the problem. A. Then, fish may eat the plastics. B. But people can make a big difference. C. Plastics should be gathered together and reused. D. It is convenient to use plastic bags in everyday life. E. It asks for them to better measure and control plastic use. F. The plastic eventually reaches coastal areas and ocean waters. G. The report tells about harm to sea life and what might be done to improve the situation. One morning, the door to the classroom opened and a new teacher, Mrs Cosby, walked in. She looked too _41_ to handle us. And we sure gave her a _42_ time，but she never lost her temper. And then came the last day of the first month. She _43_ a bunch of papers”. We _44_ the worst—a test. But oh no, it was something that totally _45_ us. Mrs Cosby asked us to come to the front of the class, and gave each of us a piece of _46_, on which she had written what the student had been _47_ at during the last month. You see, no one had ever _48_ us. No one had ever liked us. We were constantly told what good - for - nothing Students we were. And here, _49_，was someone who had been _50_ us closely for a month. We made things as difficult for her as we could. And yet she could find something _51_ to say about each of us. Mrs Cosby did this every _52_ from then on. Each month we got a piece of paper that emphasized our _53_. She commented on my courage, how punctual I was, how good to _54_ arguements if I wanted. Her positive attitude transformed our class. We did not want to _55_ her feelings anymore. We actually started to _56_. And then came the day of our graduation. Mrs Cosby hugged us and told us with tears in her eyes how _57_ she was of us. Then she _58_ each one of us a book. All the encoura¬ging words through the years were there, in hard covers. Are you the first or the last child in your family? Or are you a middle or an only child? Some people think _61_ matters where you were born in your family. But there are different ideas about what birth order means. Some people say that oldest children, _62_ are smart and strong - willed，are very likely _63_ ( succeed). The reason _64_ this is simple. Par¬ents have a lot of time for their first child and give him or her a lot of attention. An only child will succeed for _65_ same reason. What _66_ (happen) to the other children in the family? Middle children don’t get so much attention, so they don’t feel that important. If a family has many children, the middle one sometimes gets _67_ (lose) in the crowd. The youngest child, however, often gets spe¬cial treatment. Often this child grows up to be funny. But a recent study saw things quite _68_ (difference). The study found that the first children believe in family rules. They don, t take many chances in _69_ lives. They usually follow _70_ (order). Ruies don’t mean much to later children in the family. They take chances and they often do better in life. With the development of science and technology, intelligent robots will be wide used in the future. At home, robots will help people do some housework and taking care of the elderly, ba¬bies and patients. In addition to these task, robots will even be able to play the chess and do exercise with people. In factories, robots will be used to perform some dangerous jobs avoid ac¬cidents. Robots will change our future life by many ways, what will make it more colorful and com-fortable. Therefore, we shouldn’t depend on intelligent robots too much, for they were made to help humans rather than replace us. As helpers of we humans, robots should be used properly. perform some dangerous jobs ∧ avoid ac¬cidents. helpers of we humans, robots should be used properly. Delighted to hear that you are going to take a trip to China in August and especially want to learn some Chinese first before coming. Here, I suggest that you choose Chinese daily dialogues as a start, like greeting people, asking for directions and so on, which can help you a lot during your trip. Learning Chinese needs great effort. I’d like to be your teacher and send you an e-book with my teaching schedule later. 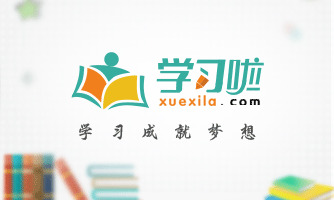 Besides, let’s have an online class over the Internet every weekend, through which I will try my best to make your learning easier and surely you can speak some fluent Chinese before your arrival. A. At home. B. At the man’s office. C. At a clinic. 2. What does the woman want to do? A. Look for a job. B. Put up an ad. C. Remove the snow. 3. What are the speakers mainly talking about? A. The environment. B. The price of petrol. C. Electric vehicles. 4. What will the speakers do? A. Buy the T-shirt. B. Try on the red skirt. C. Go to another shop. 5. What does the man think of the book? A. Scientific. B. Interesting. C. Popular. 6. Where did the woman go for her holiday? A. To Greece. B. To Mexico. C. To India. 7. What can we learn from the conversation? A. It costs a lot to have a good meal in Crete. B. The woman enjoyed her holiday much. C. There are few restaurants in Crete. 8. What do we know about the strawberries? A. They are expensive. B. They are fresh. C. They taste terrible. 9. What did the man choose for dessert at last? A. A cake. B. Cheese. C. Strawberries. 10 What has the woman decided to do? A. Quit her present job. B. Go to Cardiff for a holiday. C. Accept the job offered by Ed Burrows. 11. How does the woman plan to tell Andrew? A. Over the phone. B. Face to face. C. By e-mail. 12. Where is the woman? A. At home. B. At a bank. C. At her office. A. A football player. B. A racing driver. C. A car dealer. 14. What does Simon think of what experienced people in the field said? A. Helpful. B. Interesting. C. Encouraging. 15. What is the hardest thing for Simon? A. He can’t stop training when he should have a rest. B. He can’t take time off to go on holiday. C. He can’t find enough training time. 16. Who made Simon get interested in the field? A. His friends. B. His dad. C. ATV host. 17. Who is the speaker? A. A radio hostess. B. A TV hostess. C. A tour guide. 18. How long will Castle Howard open? A. For about 5 months. B. For about 6 months. C. For about 7 months. 19. What can tourists see in the Dining Room? A. Old china. B. Old paintings. C. Old furniture. 20. Why docs the speaker suggest families go to Castle Howard? B. The grounds arc fairly large. C. The price is attractive. After two years of careful consideration, Robert McCrum has reached a conclusion on his selection of the 100 greatest novels written in English. Take a look at a few in his list. A story of a man in search of truth told with the simple clarity and beauty of Bunyan’s prose makes this an English classic. By the end of the 19th century, no book in English literary history had enjoyed more editions and translations. This world-famous novel is a complex literature that one cannot resist. A great work that s been repeatedly printed, Jonathan Swift’s Gulliver’s Travels comes third in our list of the best novels written in English. Clarissa is a tragic heroine, pressured by her dishonorable family to marry a wealthy man she dislikes, in the book that Samuel Johnson described as “the first book in the world that shows the knowledge about the human heart”. Tom Jones is a classic English novel that gets the spirit of its age and whose characters are well-known since they have come to represent the society at that time. Jane Austen’s Emma is her most outstanding work, mixing the best parts of her early books with a deep sense of feelings. Edgar Allan Poe’s only novel-a classic adventure story with supernatural elements-has fascinated and influenced generations of writers. 21. Which English book has got the most translations before the 20th century? A. Tom Jones. B. Robinson Crusoe. C. Gulliver’s Travels. D. Emma. 22. What doe Samuel Johnson think we can learn about from the book Clarissa? A. The human heart. B. Quarrels in a family. C. The spirits of the time. D. A love story. 23. What makes the characters in Tom Jones famous? A. Their classic lifestyles. B. Their different nationalities. C. Their typical spirits of the age. D. Their representation of the society. When I was a boy there were no smart phones, and our television only got one channel clearly. Still, I never felt bored. The fields, hills and woodlands around my home were the perfect playground whose adventures were only limited by my imagination. I can remeber once hiking to nearby lake and walking slowly around it. At the back of it I was amazed to find an old dirt road that I had never seen before. It was full of muddy tyre tracks and deep woods bordered it on both sides, but exploring it still seemed like a fine adventure. I walked on and on for what seemed like hours. I was sure my guardian angel was whispering in my ears “turn around and head back home”, but I was stubborn and walked on. There was still neither a car nor a house in sight. I noticed that the sun was starting to go and down I grew scared. I didn’t want to end up trapped on this road, and I was worried that it would be dark before I could make my way back to the lake again. I continued to walk on with something growing inside of me. My heart was pounding and my legs were aching. I was almost in tear s when I saw something in the distance. It was a house that I recognized. I jumped up and down and laughed out loud. It was still over a mile away, but my legs felt like feathers and I hurried back to my house in no time. I walked in with a big smile on my face just in time for dinner. Then I ended my adventure with a good night’s sleep. I often thought of that experience recently. Actually, in our life, all roads, no matter how they twist and turn, can lead us home again. They can lead us to hey can lead us to our homes in our hearts. May you always walk your path with love! May you always help you r fellow travelers along the way! And may your roads always lead you home again! 24. Why did the author hardly feel bored when he was young? A. He could watch TV all day. B. He had many friends to play with. C. He could have fun in nature. 25. What does the underlined word “something” in Paragraph 3 probably refer to? A. Doubt. B. Fear. C. Hope. D. Courage. 26. How did the author feel when he was exploring the dirt road? A. He was contradictory in mind. B. He was unconscious of danger ahead. C. He was worried to be trapped in the woods. D. He was afraid of being scolded by his parents. 27. What may be the best title for the passage? A. Every Effort Is Worthwhile. B. Be Brave to Adventure. C. Be Determined in Your Life. D. All Roads Lead Home. When we think of leadership, we often think of strength and power. But what are these really, and how do they operate? Leadership today is not about forcing others to do things. If this is even possible, it is short-tern, and tends to backfire. If you order someone to do something against their will, they may do it because they feel they must, but the anger they feel will do more harm in the long-term. They will also experience fear. Fear causes the thinking brain to shut down, making the person unable to function at his or her best. If they associate you with .his emotion of fear, they will become less functional around you, and you will have succeeded in not only shooting yourself in the foot, but possibly making a very good employee or partner unable to perform effectively. Fear has no place m leadership. The way we influence people in a lasting way is by our own character, and our understanding and use of emotion. We can order someone to do something, which may be part of the work day, or we can employ them at the emotional level, so they become fully devoted to the projects and provide some of their own motivation. Today’s work place is all about relationships. Anyone works harder in a positive environment in which they’re recognized and valued as a human being as well as worker. Everyone produces just a bit more for someone they like. Leaders understand the way things work. They know the pay check is not the single most motivating factor in the work life of most people. The true strength of leadership is an inner strength that comes from the confidence of emotional intelligence—knowing your own emotions, and how to handle them, and those of others. Developing your emotional intelligence is the single best thing you can do if you want to develop your relationships with people around you, which is the key to the leadership skills. 28. An employee man have a feeling of fear in the work place when . 29. Which of the following is TRUE according to the passage? A People tend to associate leadership with fear. B. Good relationship is the key to business success. C. Smart people are more functional in the work place. D. Working conditions affect people’s physical health. 30. To positively influence employees, a leader should first of all . 31. Good leadership is mainly seen in a leader’s ability to . It seems hard to watch someone yawn(打哈欠)and not to yawn ourselves. Even reading about yawning can make you do it. Now, a new study has found why yawning has such a powerful force. Yawning when others yawn, the study suggests, is a sign of pity and a form of social connection. Kids don’t develop this deeply rooted behavior until around age four, the study found. Kids with autism (自闭症) are less likely to catch yawns. In the most serious cases, they never do. Yawning might help doctors to see whether the children are developing rightly. The work could also lead to a better understanding of the ways that people communicate and connect. “Emotional infection seems to be a born thing that connects us together,” said Molly Helt, a graduate student in psychology at the University of Connecticut. “Yawning may be part of that.” Inspiration for her study came when she tried to get her own autistic son to clear his ears on an airplane. She repeatedly yawned at him, hoping he would yawn back. He never did. Like infectious(有感染力的)laughter and crying, scientists have found that yawning is a shared experience that promotes social connection. Helt said it could fight stress after a period of being nervous and spread a feeling of calm through a group. 32. According to the first two paragraphs, what does the new study suggest? A. It is easy to stop yawning when you see others yawn. B. Yawning is a form of communication. C. Children follow others in yawning just after they are born. D. Yawning has some mysterious force which is related to God. 33. According to Molly Helt, _________. 34. Which of the following is NOT true about yawning? A. It is natural to yawn back if people around you yawn. B. Some kids are too young to yawn after others. C. Kids with autism yawn easily when others yawn. D. Yawning can be used to test children’s development. 35. The author implies in the last paragraph that ________. Living with other people can be difficult, especially when each person has their own ideas about how they want to live. 36 . Taking a few simple steps will help you share your living space harmoniously. Discuss your expectations ahead of time. 37 . This applies to finances, food, possessions, use of common areas, loud activities or parties, quiet hours, and so on. Make a plan to divide up responsibilities and chores(家常杂务)between you and your roommate. For example, if your roommate is a good cook and you are not, 38 . It may also be a good idea to set up a chores schedule, where you will take turns cleaning the bathroom, raking out the trash and so on. Not everyone has the same ideas about day to day living as you do. Take your roommate’s feelings into consideration. For instance, if you are dying to throw a party on Thursday night but your roommate has a final early the next morning, agree to postpone the party till Friday evening, instead. Communication is key in making the relationship work. If a problem comes up, it’s better to talk about it right away than to ignore it. For example, say “Chris, it upsets me when I wake up to find all the milk gone. If you use the last of something, can you please add it to the list?” If you simply cannot communicate openly and there is tension all the time, 40 . I worried about my personal image and how I could be remembered during my boyhood. In the fifth grade, there seemed to be only one 41 -to be cool. In the sixth grade, suddenly, there were two choices: be cool, or be invisible. 42 , one day, when a teacher had us fill out a questionnaire with 43 questions, I found the 44_ option. Assuming the teacher would read our answers privately, I felt it was 45 to share my privacy. To my 46 , she collected and redistributed (重新分发) them to us. We were asked to 47 the name and our three favorite answers to the whole class. My answers went to the meanest boy in class. The first question was “What’s your favorite movie?” My answer was Beauty and the Beast. A laugh erupted and my cheeks 48 . The next was “Where would you like to travel?” My answer was 49 special — “Wherever a book takes me.” The 50 this time had an explosive quality. I can’t remember the teacher or other kids’ names, but I remember Michelle’s. When she 56 for me that day, she 57 me we actually have three choices if we want to be remembered. Be cool, and you might be remembered 58 . Stay invisible, and you won’t be remembered at all. But if you stand up 59 someone when he or she 60 you most, then you will be remembered as their hero for the rest of their life. Today we talk about a word that is a feeling as well as a place. This word is “home.” Long ago in the 1700s, “home” was used as a verb, 61 (mean) “to be guided to a destination.” So, when you home in on something, you get 62 (close) to your target. For example, you could say, “Police are homing in on the suspects.” That is also where we get homing pigeons-pigeons that can find 63 (they) way home after being released. But today, “home” is more often used as a noun. And it has a very emotional 64 (connect) for American English speakers. You can remember the meaning of the word by the expression “home is 65 the heart is.” That expression means home is anywhere you feel love and comfort. It is a place where you belong, and often a place you consider your origin. In other 66 (word), “home” is not 67 (simple) a building where you live—that’s a house. There is a big difference 68 a home and a house. The writer, Thomas Wolfe, had 69 different idea about home. In 1940, his book “You Can’t Go Home Again” 70 (publish). Today we use this title to mean that the ideas and feelings that you had as a child often change when you are an adult. So, even if you return to the place where you grew up, time and distance have changed your perspective (观点). Mr Li is my head teacher. He is now in his thirty and has been teaching in almost ten years. He has much knowledges and his teaching method is scientific. That he teaches us in class leaves a deeply impression on us. All of us have learned a lot. Not only he strict but also he is kind and patient. In addition, he often gave his encouragement to us, but we have make a great progress. As a result, he is popular with our students. We all love him. to us, but we have make a great progress. As a result, he is popular with our students. We all love him. I am Li Hua, an exchange student from China, 1 am writing to you in expectation of obtaining the volunteer work as a volunteer in the hospital. For one thing, I have taken delight in reading since I was a little child, which will surely fuel my enthusiasm for sharing what I read with patients. For another, as I have a caring and considerate personality, I am willing to contribute myself to helping the patients. More importantly, having great communicative competence and a good command of English has guaranteed a series of my success in volunteering. Besides, I am available for the require time. Thus, I’m fully confident that I have the relevant qualifications of serving as a volunteer. If I am considered qualified for being the volunteer, I promise to provide the most pleasing service. 1. Who wears short hair? A. Linda. B. Rose. C. Jenny. 2. What do the two speakers mainly talk about? A. Life. B. Marriage. C. Children. 3. How much did the speakers have to pay the hospital at last? A. Over three thousand dollars. B. Nothing. C. Only part of it. 4. Why did the woman get home in a hurry? A. To avoid rush hour. B. To avoid a ticket. C. To get rid of the police. 5. What will the man do? A. Go to a big party. B. Attend a small party. C. Wear a short coat. 6. Where did the man put the soft drinks? A. In the car. B. In the picnic basket. C. In the fridge. 7. What will the woman ask Nancy to do?. A. Prepare knives and forks. B. Take some wine. C. Make the sandwiches. 8. Where are the two speakers? A. In a shop. B. At a birthday party. C. Near a swimming pool. 9. What will the woman do next? A. Go home. B. Leave for another place. C. Ask for more advice. 10. Who taught the man to make coffee? A. Joan. B. Mary. C. Mike. 11. When will the woman’s friends arrive? A. At 5:00. B. At 6:00. C. At 7:00. 12. What doesn’t the man need to buy? A. Sugar. B. Bananas. C. Apples. 13. How many classes has the woman attended? 14. What did the woman think of her classes? A. Reasonable. B. Big. C. Small. 15. What is the relationship between the two speakers? A. Classmates. B. Student and teacher. C. Schoolmates. 16. How does the man go to class? A. In a hurry. B. At ease. C. Often late. 17. What’s the speed limit on American highways? A. 25 miles per hour. B. 35 miles per hour. C. 55 miles per hour. 18. What does a driver see on the ticket? A. The amount of money. B. The reason to be stopped. C. The name of the police. 19. What’s the result if you receive too many tickets? A. You lose the right to drive. B. You are put into prison. C. You are forbidden to drive for a while. 20. What’s the advantage of driving on rush hours? A. Drivers drive their cars more carefully. B. Drivers are much safer driving there. C. Drivers get fewer tickets for speeding. This middle-grade novel is perfect for introducing kids to recycling, but with a fun science fiction story. Obe lives on his family’s farmhouse that was built a hundred years ago-and now it’s being taken over by developers. While adventuring on the land, he discovers a creature, Marvin Gardens, which only eats plastic. Kids will love this charming story. Kids may get excited to see A Wrinkle in Time. While the original novel may be too hard of a read for them right now, they can dive into the fantastical world the film takes place in with this awesome guide to the characters and locations. Get kids going green with a little help from this educational picture book! Filled with excellent artwork and helpful explanations, these pages are filled with important lessons about the Earth. Kids will learn about how the sun keeps the ocean currents(流)moving and how the sun can power all living things—it’s pretty amazing. Pearl’s sandcastle keeps getting ruined by puppies (who could be mad at that?). So she teams up with her Robot friend Pascal to solve the problem with code(编码). Combining the fun of building a sandcastle with the discovery of coding, a future engineer will love paging through this story. 21. What can kids benefit from Me and Marvin Gardens? A. Learning the skill of building farmhouses. B. Developing awareness of environmental protection. C. Enjoying natural beauty of the countryside. D. Forming the interest in exploring the secret of nature. 22. What do you know about How to Code a Sandcastle? A. It describes a means of problem solving. B. It shows the work of a future engineer. C. It is the cheapest of the four books. D. It is a bit hard to read. 23. Which of the following deals with the movement of water on the earth? A. A Wrinkle in Time. B. River of Sunlight. C. Me and Marvin Gardens. D. How to Code a Sandcastle. Rescue officials in Poland are working quickly to clear one of the country’s highways. The roadway is covered with a sticky brown material. It is blocking cars from both directions. What is causing the mess? Milk chocolate. The problems began early Wednesday, after a huge truck carrying many tons of liquid chocolate overturned. Chocolate spilled out. It spread across six driveways of Poland’s A2 highway. The liquid chocolate solidified(凝固)as it cooled, causing even more difficulties. The accident happened near the western Polish town of Slupca. Bogdan Kowalski is with the fire fighters of Slupca. He told the Associated Press that “the cooling chocolate is worse than snow”. Videos published on social media showed rescuers and cleaners were trying to move the sticky brown mess with a bulldozer(推土机). The private Polish broadcaster TVN24 reported that the driver of the truck was taken to a hospital with a broken arm. The accident happened in the morning when there was little traffic. Nobody else was harmed. The sticky situation became a hot topic on social media. Some people offered to help the clean-up workers by eating the chocolate themselves. Marlene Kukawa is a media officer for Slupea police. She told the New York Times that rescue workers needed to remove the truck from the highway first. “The cleanup”,she said at the time, “will take a few hours or more.” She added that accidents are rare in this part of the A2 highway. And, she told the New York Times, she is sure the area has never experienced something quite like a huge chocolate spill. 24. What caused the traffic trouble? A. A broken-down car. B. Cars stuck on the highway. C. Serious traffic accidents. D. The liquid chocolate. 25. What made the situation even worse? A. The difficulty to get rid of the chocolate. B. Fear caused by videos on social media. C. The chocolate becoming hard. D. Snow falling on the highway. 26. Why did some people offer to eat the chocolate? A. To avoid wasting the chocolate. B. To reduce loss for the driver. C. To play a joke. D. To solve the problem. 27. What did Marlene Kukawa think of the incident? A. It happened very rarely. B. It was the most serious accident. C. It was unexpected by other drivers. D. It was lucky that no one was killed. Even now, almost a year after their astonishing act of group heroism, the dozens of people who risked their lives to save two boys from drowning in Panama City Beach, are still remembered. The story began on July 8, 2017. Members of the Ursrey family, eight in total, were enjoying an evening together at the beach. As the sun sank lower on the horizon(地平线), the two boys—Noah, 11, and Stephen, 8—took their skateboards and walked into the waves without the grown-ups noticing. When the boys were about 70 yards from shore, they realized that the ocean pulled them out to sea. After trying and failing to paddle(涉水)back, they started waving and screaming for help. But the lifeguards had clocked out for the evening. The boys had been struggling for several minutes when Brittany and Tabatha Monroe, a married couple from Georgia, wandered by. They didn’t see the boys at first, but they heard them. They jumped into the water and easily reached the brothers, who were still in fairly shallow water. The woman reassured the frightened boys and seized their skateboards, telling them they would be safe and then discovered that they, too, were now in a world of trouble. They couldn’t get back to shore and could barely and only occasionally hit the sandy bottom with their feet. After a few minutes, it was clear to the woman that they were all trapped in a terrible whirlpool. Then scores of tourists were walking to them, hand in hand, forming a line. Soon the first person held the woman’s hand. In turn, her husband and the two boys joined her. The long line moved slowly until they were back to the safety of the beach. The rescuers call it the Human Chain. But it was the deeply “human” aspect of the rescuers’ cooperation(合作)that made it so astonishing and successful. 28. What happened to the two boys? A. They got into deep sea by chance. B. They couldn’t be seen in the sea. C. They went out without supper. D. They met with danger in the sea. 29. What does the underlined word “reassured” in Paragraph 4 mean? A. Saved. B. Comforted. C. Congratulated. D. Accompanied. 30. Which of the following best describes the water the young couple stayed in? A. It appeared calm on the surface. B. It was very deep. C. It was mixed with sand. D. It moved fast. 31. What made the four persons in the sea escape the risky situation? A. Team spirit. B. Confidence. C. Good luck. D. Bravery. You may be surprised to learn that English gets 30 to 45 percent of its words from French. The reason goes back to the year 1066, when Norman forces invaded(入侵)what is now Britain. The Normans were from northern France and spoke French. During the Norman occupation, French became the language of England’s rulers and wealthy class. This lasted for more than 300 years. Other people in England continued to speak English during this period. Over time, the two languages combined and shared words. Some researchers believe that about 10,000 French words eventually entered the English language. However, although English took many French words, their meanings have not always stayed the same. Sometimes the differences in meanings can be very important, and lead to funny or strange situations if the words are used in the wrong way. Take, for example, the French word college. In English, college can often be used in place of the word university, or sometimes as a school within a university. However, in French, college actually means “middle school”, or the level of schooling for students in grades five or six through eight. There are many other similar words in the two languages with completely different meanings. In English, the word chat is a verb which means “to talk casually”; but in French, the word chat is the word for an animal: a cat. If an English speaker says someone is jolly, that means they are cheerful or friendly. But in French, jolie means someone is good-looking or pleasant to look at. In any case, both are nice things to say to someone. 32. What does the author stress about the French words in English? A. Their spelling forms. B. Their changes in history. C. Their puzzles for English. D. Their different meanings. 33. What does a Frenchman mean if he says he likes a chat? A. He likes a kind of pet. B. He wants to have a talk. C. He hates to speak English. D. He prefers to chat in French. 34. What is the French word “jolie” used to do? A. Replace “jolly” in English. B. Describe people's looks. C .Refer to people’s happiness. D. Prove the change in French. 35. What is the text mainly about? A. Comparison between two languages. B. Difficulty in grasping English. Compared to the history of China, the history of the United States is quite short. 36 In 1776, 13 colonies(殖民地)located on the eastern coast of North America declared independence and fought a revolution against the British. In 1783 the colonists won the revolution and gained their independence. After the revolution, the United States bought a large section of country from Napoleon of France. This purchase doubled(加倍)the size of the United States. 37 If he hadn’t needed that money, the United States might have stayed a small country. Texas and most of what is now the southwestern part of the United States belonged to Mexico. The people of Texas fought a revolution against Mexico. 38 Later, the United States and Mexico went to war. If Mexico had defeated the United States in that war, California and New Mexico would have been part of Mexico today. Following the Civil War, the United States bought Alaska from Russia. Today it is the largest state in the country and a very important one, too. A. This was the Civil War. B. It was controlled by England then. C. It began little more than 200 years ago. D. After 4 years of war, the South was defeated. E. Napoleon needed money for his European wars. F. They became independent and joined the United States. G. At that time many people didn’t think Alaska was important. Recently I was shopping in the local Walmart. There I 41 a former coworker. We started 42 about old times when we worked together at the store. Looking at her I could 43 that she was not in the best of health so I asked, “When are you going to 44 ?” She told me with tears in her eyes that she had 45 retired but had to come back to 46 because she couldn’t make ends meet with her retirement 47 . I told her how sorry I was and left the store. A week later, I was 48 to have a little extra cash and I was looking for someone to 49 it with. It wasn’t a ton of money 50 it was more than what I had and I wanted to show my 51 by giving a bit of it to someone else. I was 52 at Walmart again and I noticed the same 53 I had talked to a week earlier. As soon as I 54 her I thought she could be one of the people I share my blessing with. I walked up to her. I 55 her by name and asked her, “If 1 56 you something, will you keep it and not try to give it back?” She 57 at me, puzzled and said yes. At the same 58 I reached in my pocket and pulled out a $ 100 bill and put it in her hand. When she saw what it was she looked 59 and asked “Why me?” I saw her tears rolling down her face. I walked away because I 60 myself about to cry. Joris Hutchison, 10 years old, of Seattle, has worked hard all year to save cheetahs(猎豹)from the very real threat of extinction. He has raised more than $14,000 to purchase GPS devices, 61 follow and protect the animals. He earns money by selling lemonade, flowers and T-shirts, and by 62 (organize) skating parties and a garage sale. What moved the public 63 (be) that Joris donated all that he raised to a wildlife conservation organization and shelter in Namibia where he and his mother have volunteered for 64 past three summers. My mother loves planting vegetables or she couldn’t do it without some land. Last month she bought the tiny piece of land for a peasant, who used to plant fruits and vegetables. Now he has divided his land into piece for sale, providing water for each piece of land. So it is very convenient grow vegetables. He also directs people how to farm. My mother has already planted several vegetables. Various seeds came out, health and fast. I also love my mother’s garden. I often work with Mom, planting, watered and weeding, which bring much pleasure to us. We are sure to have safe vegetables to eat them this year. sure to have safe vegetables to eat them this year. I’m grateful that you’ve invited me to visit the art show. But it’s a great pity that I can’t go with you as I’ve already seen it. However, I’d like to invite you to go to another exhibition, which is about the technology of the Internet. It is said that some most advanced products and inventions of telecommunication will be on show, including the newest cellphones. Many new functions have added to them, making the phones more useful. I’m sure you will have a good time. The show will be held at 9 o’clock a.m. next Monday at the city exhibition centre.